Day 25 of 365, a photo by Gordon McKinlay on Flickr. I took some time today walking round Glasgow taking photos. 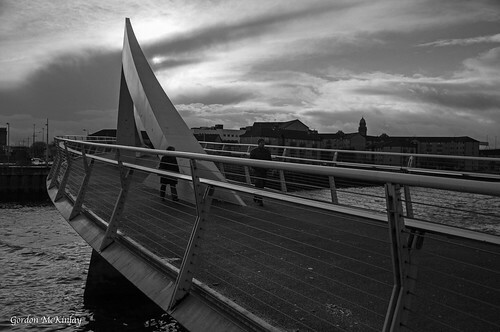 This shot is of the Tradeston or Squiggly Bridge which is a footbridge across the River Clyde. It opened on 14 May 2009 and allows quite a pleasant walk from the Quay in to the centre of the city. I love the curve of the bridge and have taken loads of photos of it over the years. This entry was posted in Professional and tagged 014, challenge, explore, Flickr, January, journal, one a day, photoaday, photography, project 365 on 25 January, 2014 by Gordon McKinlay.